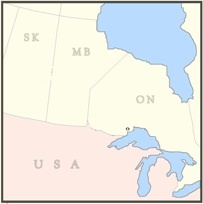 We’re located in northwestern Ontario, just outside of Thunder Bay. 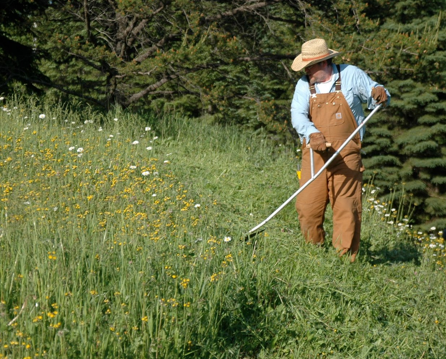 Harsh winters and short, mild summers limit what can grow on our land, but also provide benefits such as fewer pests and diseases to contend with. 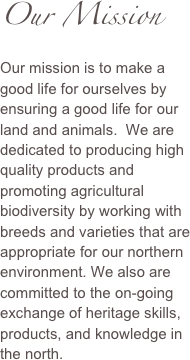 We strive to work with breeds and varieties that are well adapted to the north so that we can work with our environment rather than against it. Click on the tabs at the top of this page to learn more about our farm and products. We’re sorry... Aspen Croft Heritage Farm is no longer operating. We had several successful years of operation but have decided for personal reasons to change directions. We thank all of our loyal customers and dozens of generous volunteers who helped make Aspen Croft such a special place over the years.